INFLYX, a multi-asset liquidity provider, has secured the services of FX veteran Paul Orford, who joined the Cyprus-based company in the role of its Head of Institutional Sales. The move to hire MOrford is clearly intended to boost bottom line sales and expand the reach of the newly-launched operations. INFLYX is a trade name of ICC Intercertus Capital Limited, which is authorized and regulated by the Cyprus Securities and Exchange Commission (CySEC). The company offers institutional liquidity for forex, metals and a variety of CFD instruments. Prior to joining the INFLYX team, Orford was the Head of Institutional Sales at AMB Prime, a European based Prime Brokerage which offers access to FX & CFDs markets via one FIX API. He also served at TopFX as its Vice President (VP) of Global Business Development since early 2014, having worked out of Cyprus. He worked there for two and a half years. Orford has been an outspoken proponent of Cyprus Securities Exchange Commission’s (CySEC) regulation, which he has endorsed on numerous occasions. Having parted ways with TopFX in 2016, Orford has embarked on a new project in sales, according to information made public on his Linkedin profile. 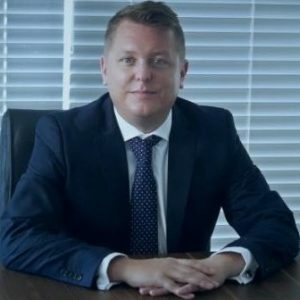 Paul’s experience in financial industry sales extends further back, from his time at Blackwell Global Investments where he worked as a Business Development executive for nearly two years, dating back to 2012. The experience he accrued during his nearly six years in sales positions likely influenced INFLYX’s decision to hire him to guide its institutional sales department.